Here at Iwaru Oy we are proud to support well known & respected designers by providing them web visibility allowing them to show and sell their designs. All questions related to designs presented in this page should be directed to designer and all commerce is done directly between designer and customer. Iwaru does not have any responsibility or liability regarding these designs. The Cherokee was designed by Stan Hall to provide homebuilders with an easy-to-construct and inexpensive aircraft that would give performance at least equal to the Schweizer SGS 1-26, which had flown two years earlier. The Cherokee structure was built from wood and covered in doped aircraft fabric covering. The fuselage featured truss construction, with longerons and gussets and a fixed monowheel landing gear. The full-size wing has two spars, with geodetic braces handling the torsion loads, and is built with a fixed center section and removable outer wing panels. The wings had spoilers on the top surfaces and used a Gö 549 airfoil. As with all plans-built aircraft, builders made modifications to the design. Some examples were built with leading edges made from aluminum, cardboard, glass reinforced plastic and plywood and also with many different styles of canopy. 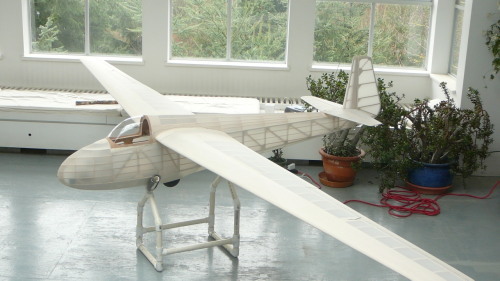 The 1/3 scale model deviates from the full size in two respects; the airfoil used is a modern, model-friendly one (HQ3.5-14), and the wing has been extended by one bay which gives a slightly higher aspect ratio and a little more area. The plans show both the scale and non-scale planforms, so if you are an “exact scale” builder, you have the option. 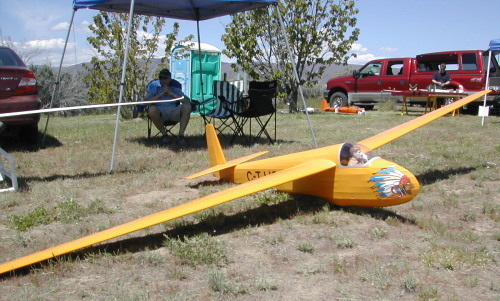 The 1/3 scale version is a follow-on from my ¼ scale design which has been flying very successfully (and has been kitted by Aerosente) since 2003. It is a robust design without being heavy; the three 1/3 scale versions that have been prototyped have all been around 15 ½ pounds (5.6 kg) yielding a wing loading of roughly 16.5 oz./sq. ft. (55 gm/dm²). 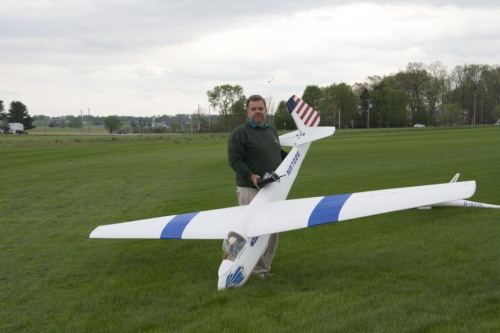 Although the sailplane is easy to fly and has no bad habits, the build does require some effort. 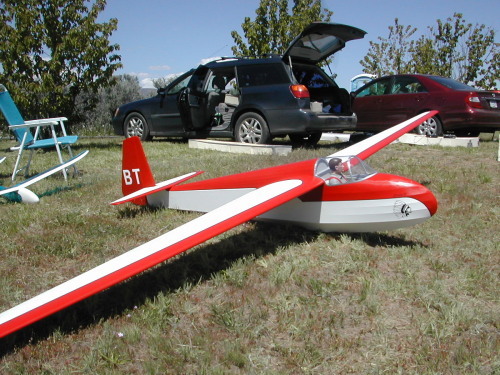 None of it is particularly complex, but it does require patience, as do most large scale wooden sailplanes. The drawings show the outline for the sheet canopy which was fitted on many Cherokees. Elevator, rudder, ailerons (2), air brakes, aerotow release. Some of the functions (ailerons & brakes) can be implemented using Y-cables and mechanical setups. Aerotow release needed only for aerotow.